Hockey is just about the toughest sport out there; one where a bunch of large, tough, often bearded men hurl their bodies at one another and chase around a flying rubber disk. It’s a sport that takes a huge amount of dedication and practice from a very early age. Although it sometimes seems like NHLers were born with skates on and a stick in hand, even these guys were children once with wobbly legs on the ice and no idea how to properly hold a stick. Years of practice turned them into Stanley Cup champions, Hart Trophy winners and Olympic athletes, but back before all that, they were just little kids playing pond hockey and cheering on their hometown team. So if you’ve ever wondered what your favorite NHL superstar was like before he made it big, look no further. 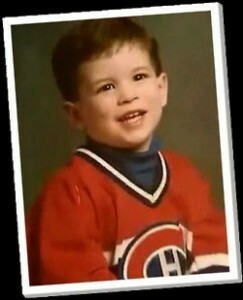 Sid the Kid really was once just a kid. The face of the Pittsburgh Penguins was born in Halifax, Nova Scotia, to parents Troy and Trina. Crosby grew up in Cole Harbour, a nearby city, and began playing hockey when he was very young. 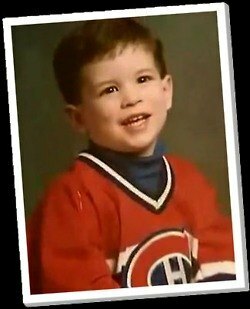 At two years old, Crosby began practicing by himself by shooting pucks at the family’s clothing dryer. A year later, he learned to skate. By seven years old, Crosby was already a hockey phenom. Playing for his local team in Cole Harbour, Crosby scored 159 goals in just 55 games. Not bad for a seven-year-old. When the attention turned negative, Crosby took his hockey skills to Shattuck-St. Mary’s in Fairbult, Minnesota. Crosby continued to improve, and was soon after drafted first overall in the 2005 NHL Draft by the Pittsburgh Penguins. Three-time Stanley Cup winner. Olympic gold medalist. Four-time NHL All-Star. Secret Karate Kid? Before becoming a hockey superstar, the captain of the Chicago Blackhawks tried other sports, like most children, but Toews was always destined for hockey. After discovering his skill at an early age, Toews went on to play hockey at Shattuck-St. Mary’s, then the University of North Dakota, and now in the NHL with the Chicago Blackhawks. Like many other players on this list, Dallas Stars centerman Tyler Seguin was born into a hockey family. 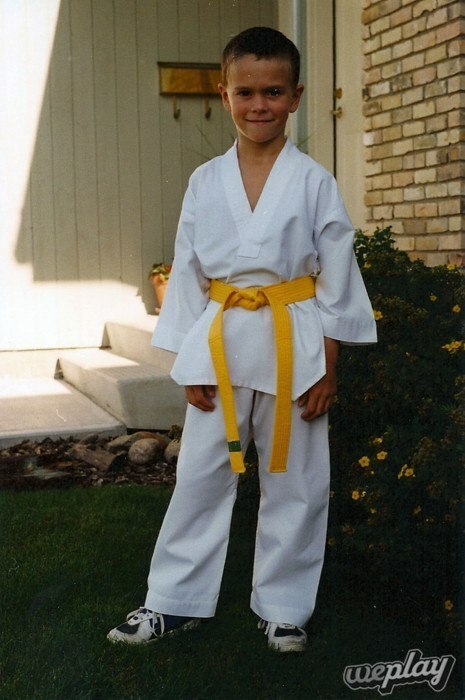 Seguin grew up in Brampton, Ontario, with his two younger sisters, Candace and Cassidy. All three Seguin children played hockey, as did parents Jackie and Paul. Seguin’s mother said she knew her son had a knack for hockey when he began pushing a chair around a rink at four years old. 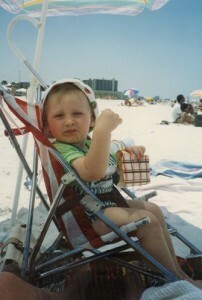 Seguin’s hockey genes continued to grow as he did. After seven years of minor hockey and two years in the OHL, Seguin was drafted second overall by the Boston Bruins in 2010. Kessel has recently become known for his photogenic nature, but the camera was clearly drawn to him long before he became an NHLer. 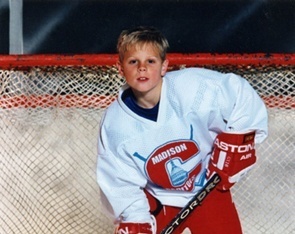 Kessel, a native of Madison, Wisconsin, was born into a family of hockey genes. Kessel’s sister, Amanda, is currently a member of the University of Minnesota Golden Gophers Women’s Hockey Team as well as an Olympic silver medalist, while Kessel’s brother, Blake, plays for Ilves Tampere in Finland. Kessel also has a cousin, David Moss, who is a former Arizona Coyote. 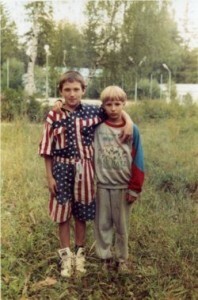 The face of the Washington Capitals was once just a boy clothed in stars and stripes. What a coincidence he ended up playing in America’s capital. Ovechkin was born in Moscow to former professional soccer player Mikhail Ovechkin, and Olympic gold medal basketball player Tatyana Ovechkina. 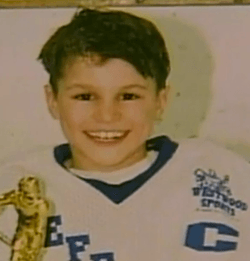 Ovechkin’s mother, claims her son was drawn to hockey ever since he was two years old. Ovechkin hasn’t put the stick down since. Steven Stamkos was apparently drawn to the Sunshine State as a tot. The current captain of the Tampa Bay Lightning grew up in Unionville, Ontario, and played three years of minor and junior hockey before he was drafted in 2008. The Vezina-winning goaltender grew up in Anahim Lake, a small town in British Colombia. Price learned to play hockey from his father, Jerry Price, who was also a professional goaltender. 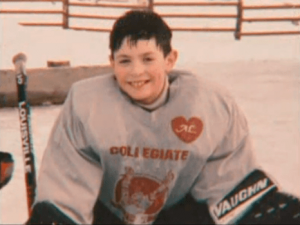 When Carey was nine years old, he decided he wanted to play organized hockey. The closest team was approximately four hours away. The Price duo made the eight-hour round trip three times a week so Carey could practice with a team. His father eventually grew sick of the car trips and bought a small bush plane so he could fly his son to practice. Talk about commitment to your sport. Price is now considered one of the best goaltenders in the league, so the trips clearly paid off. Zach Parise was a captain on the ice long before he made it to the NHL. quickly became a star at Shattuck-St. Marys, the University of North Dakota, and eventually in the National Hockey League. Subban was born in Toronto, Ontario, Canada, to Karl and Maria Subban. Karl immigrated from Jamaica when he was 11 years old, and fell in love with hockey. Since he was living in Montreal, he became a fan of the Montreal Canadians, and later shared his love with his son. When P.K. was around four years old, he told his father he wanted to play hockey. 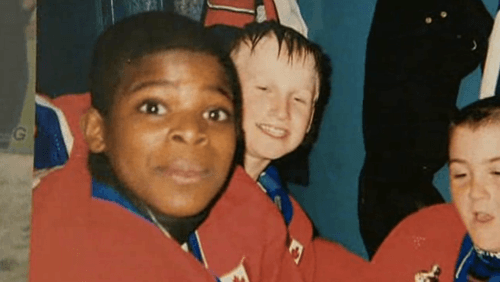 Karl never had the resources to play hockey when he was young, but he did everything to make sure P.K. had that chance. The current goaltender for the New York Rangers was born in Åre, Jämtland, Sweden, a tiny ski resort town about eight hours from Stockholm. 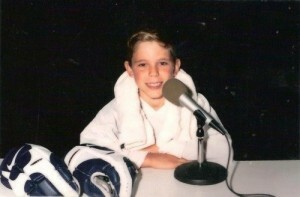 The town was primarily focused on skiing, but Lundqvist was drawn to hockey from an early age. Both Henrik and his identical twin brother, Joel, began playing when they were young. Eventually the Lundqvist family moved south so the boys could focus on playing competitive hockey. Once he turned 18, Henrik joined the Frölunda Hockey Club, a part of the Swedish Elite League. He was then selected by the Rangers 205th overall in the 2000 NHL Draft. Hockey was definitely a better choice than skiing for King Henrik. Well now you have proof that those stars on the ice were once just little kids. For more young NHLers, check out NHL Players as Kids.